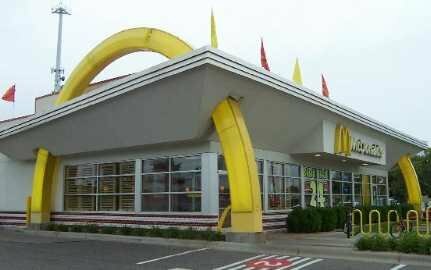 McDonalds scholarships for college are offered through Ronald McDonald House Charities (RMHC), a division of McDonalds Corporation. They have offered more than $48 million in college scholarship funds to deserving students since 1985. The number and the amount of all the McDonalds scholarships are determined by the local participating chapters. They are typically a minimum of $1000 each, and they are usually non-renewable, which means they are good for one year. Last updated on April 20, 2019 by College Financial Aid Advice. 1. RMHC/ Scholars (a need-based award open to all deserving and talented students regardless of their race, creed, color or heritage). 2. RMHC/Asia (for applicants with at least one parent of Asian-Pacific heritage). 3. RMHC/African-American Future Achievers (for applicants with at least one parent of African-American or Black-Caribbean heritage). 4. RMHC/HACER (for applicants with at least one parent of Hispanic/Latino heritage). The number and the amount of all the McDonalds scholarships are determined by the local participating chapters. They are typically a minimum of $1000.00 each, and they are usually non-renewable. Additionally, RMHC/HACER awards four $100,000 national scholarships. This specific scholarship pays $25,000 per year towards the 4 years of the student’s undergraduate studies. 1. The applicant is a legal resident of the U.S.
5. The applicant is eligible and plans to attend either an accredited two-year or an accredited four-year college or university or technical school, on a full-time basis. The McDonalds scholarship applications are available online from around October 1 and due in December or January. 1. Qualified student applicants must submit a complete application and supply all required documents by the application deadline. 2. Each scholarship program has additional specific eligibility requirements that must be met. These requirements are outlined by each scholarship program. 3. The recipients must provide annual verification of their full-time enrollment status. 4. For more information you may visit: http://rmhc.org.